CST Cyclopse, 24" x 2.4"
To run the forums, host the website, and travel, I charge a universal service fee for my reviews. This review was sponsored by EVELO which has a flagship store in Seattle, Washington. My goal is to be transparent and unbiased, this video and written review are not meant to be an endorsement of EVELO products. 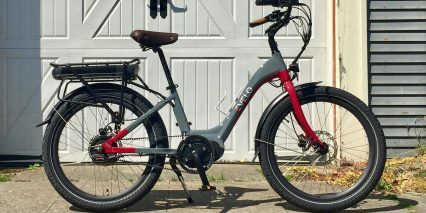 The Evelo Galaxy 24 is a unique and very special little electric bike. 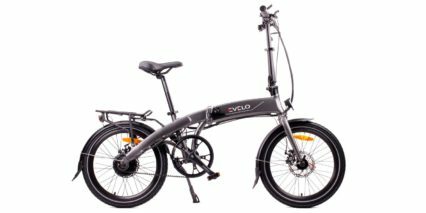 The original Galaxy comes in two frame styles (high-step and step-thru) with larger 27.5″ wheels which elevate the frame. 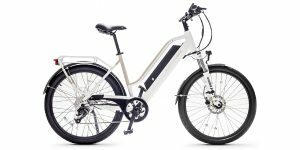 For those of us who are a bit shorter, the 24 model could be an excellent option, one of the few ebikes designed with you in mind. 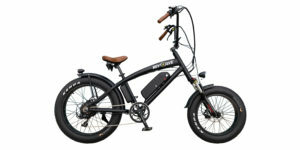 This ebike comes in two configurations, the “fully loaded” model shown in the video delivers a unique belt drive and continuously variable transmission that works seamlessly with the quiet Bafang Max Drive motor… it gives you lights, fenders, a sturdy rear rack, and even comes in two colors. 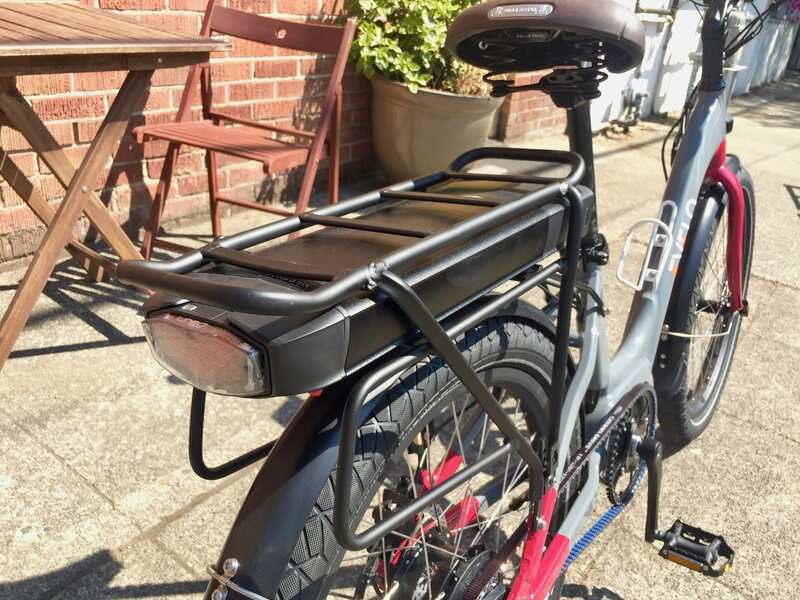 The deep wave step-thru frames can flex a bit (especially because the battery pack is mounted high up and in the rear vs. low and center), but notice the extra plating and reinforcement at the bottom of the downtube. 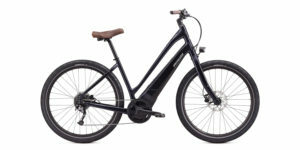 The base model is $2,999, which gets you everything but hydraulic disc brakes and fancy electronic shifting. For people with wrist sensitivity or limited hand strength, the “Fully Loaded” upgrades are worth it and priced at $3,499. 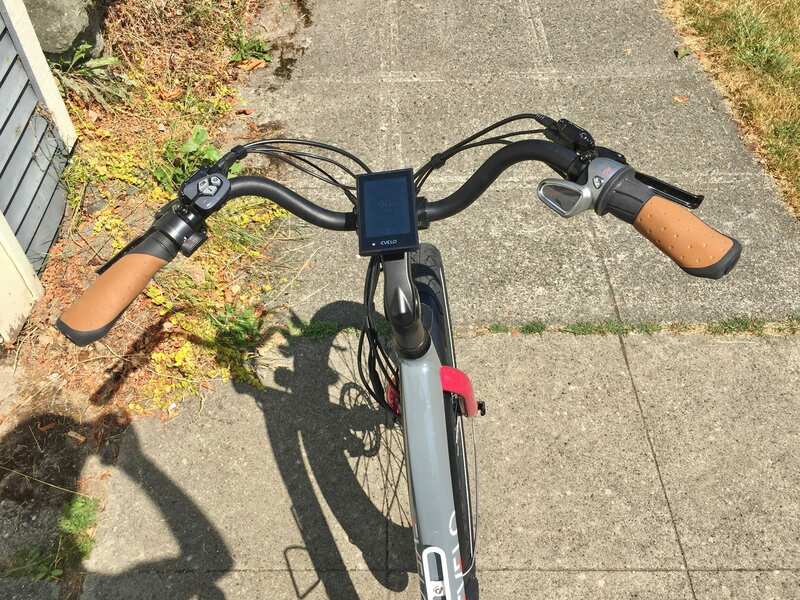 With this model, stopping is easier, the brake levers are adjustable so you can bring them in a bit, and the grip shifter is sending electrical signals vs. pulling a physical wire (which can stretch out over time and require some adjustment). 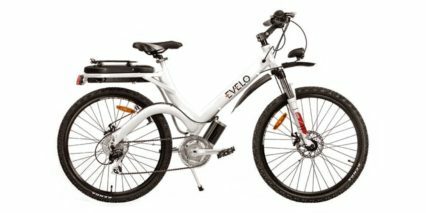 EVELO also sells a range of accessories like bags and locks. 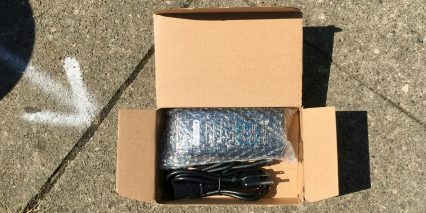 This is a company that really stands out for their customer support and post-purchase service, especially for an online-mostly business model. 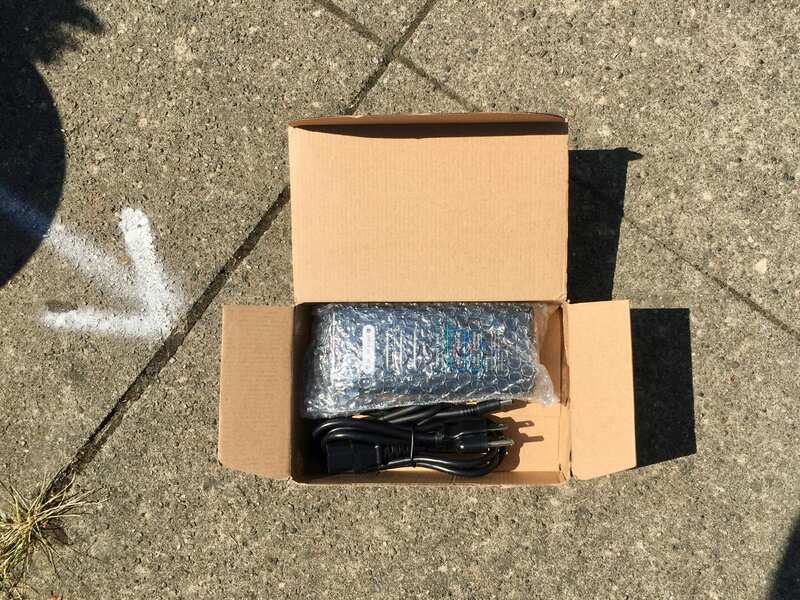 Yes, they do have a physical store in Seattle, Washington (which I visited for this review) but most of their sales happen over the Internet and via phone. 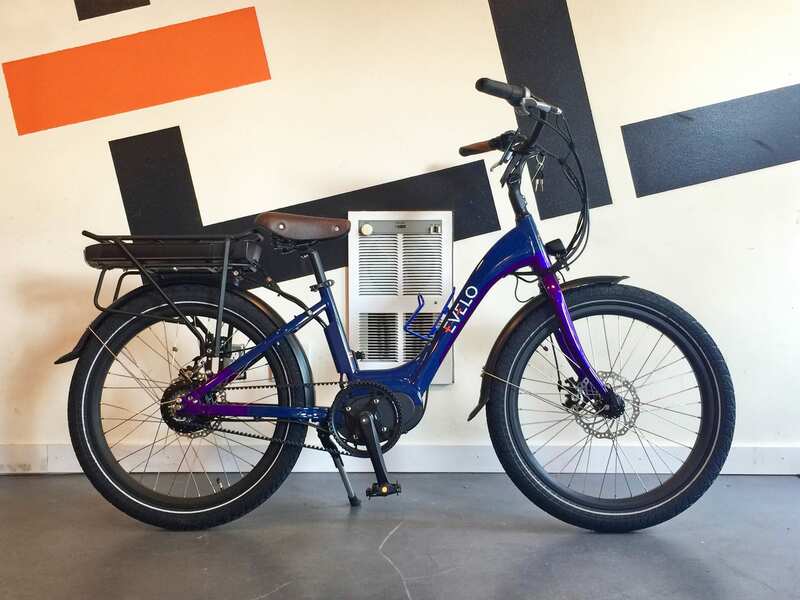 You get a comprehensive two year warranty along with four years of extended coverage and a special battery replacement plan where you pay based on a sliding scale for how long you’ve had the bike. 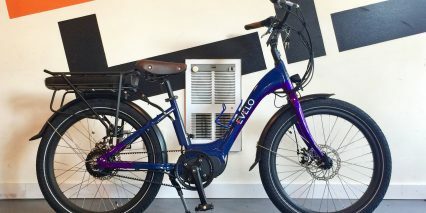 I was amazed to see some of the earliest EVELO electric bicycle models still being supported when I visited the shop, even being refurbished and sold at a discount. This behavior is inspiring, and full of effort and care, but they keep on doing it! 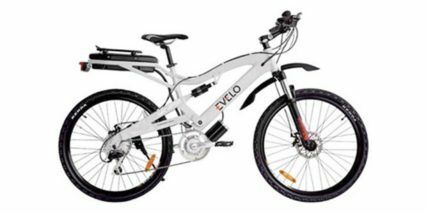 The company has been around since what I would consider the early days of electric bicycles in the United States, circa 2012. 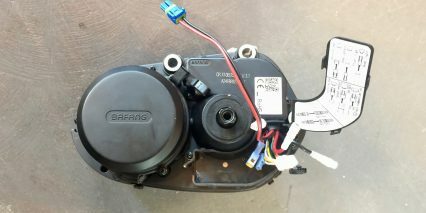 Driving the Galaxy 24 is a Bafang Max Drive, one of my favorite mid-motors to hit the market in recent years. 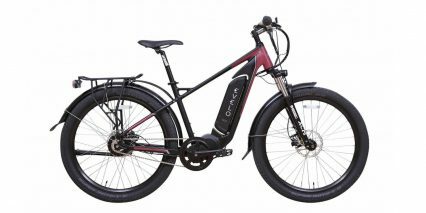 It’s powerful, putting out 350 to 750 watts, and it can definitely climb, with peak torque rated at 80 newton meters. 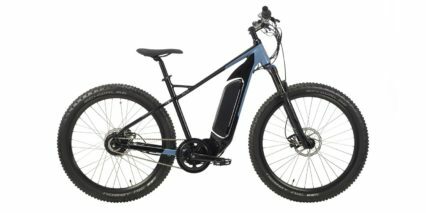 For those who are new to the space, that’s in the upper range, what you would normally see on electric mountain bikes. It’s also very compact, quiet, and responsive. 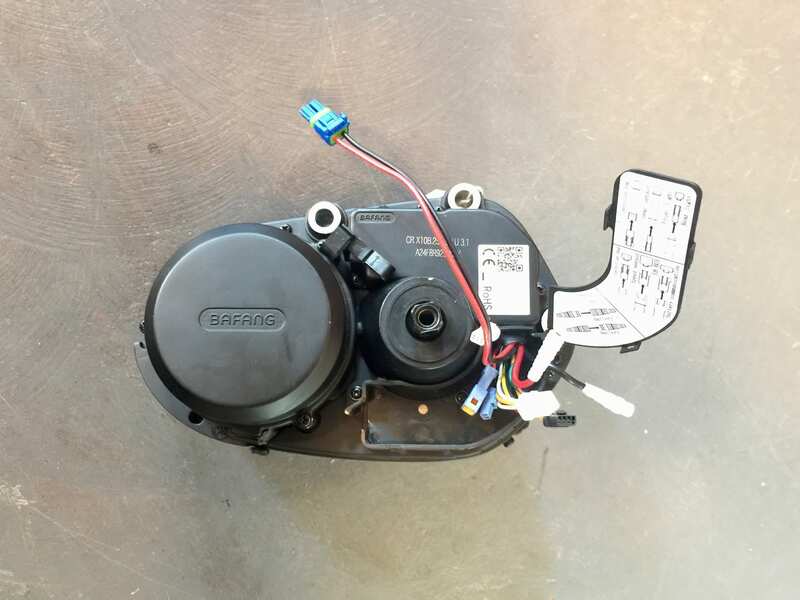 I never felt like the motor was running longer than expected or delaying to start (which can cause muscle and knee pain if you’re sensitive like me). 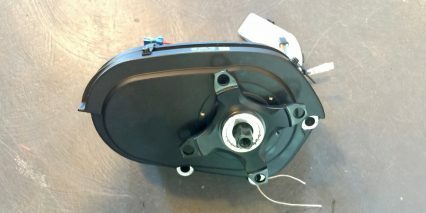 The motor is right there when you need it, measuring a combination of rear wheel speed and pedal torque. 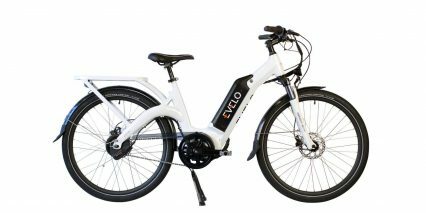 But stopping is important too, so it’s great that Evelo has opted for the fancier brake levers with integrated switches that cut power to the motor whenever they are pulled. 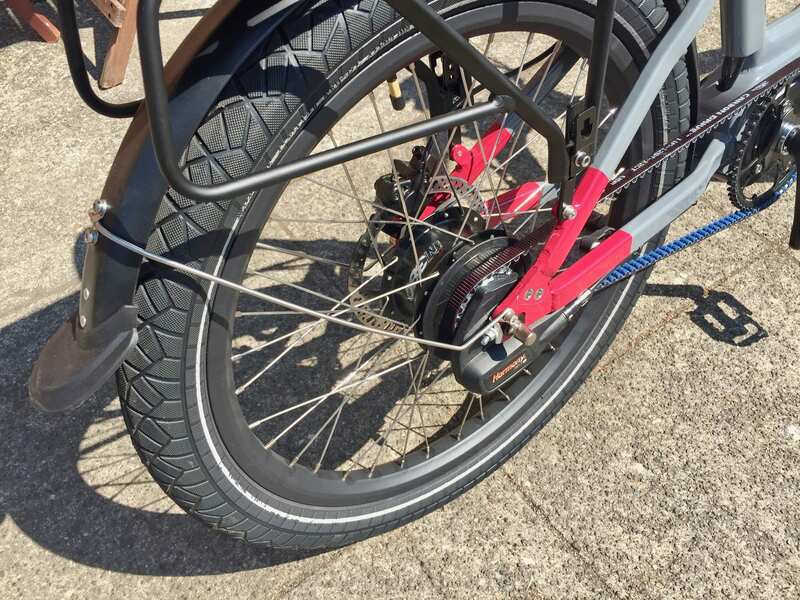 This results in a bit of clutter near the front of the bike (brake lines, motor inhibitor wires, shifter cables, display panel and throttle wires) but almost immediately after, they are channeled through the frame and hidden from view. 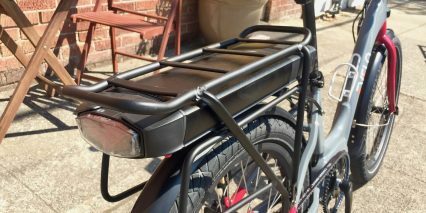 This also keeps them protected from snags while pedaling or transporting the bike. One frustrating thing about the throttle is that it will not engage unless the bike is already going 6+ miles per hour. 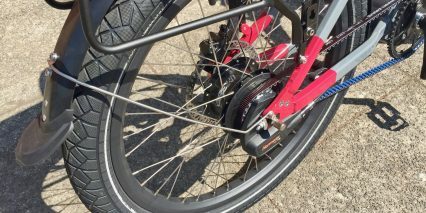 This means that there are times when riding in a low gear and climbing that the bike just won’t go fast enough to use the throttle… and yet, if you shift to a higher gear, it could strain the motor. I wish the limit was more like 2 miles per hour vs. 6 mph as that is the setting on most other systems that opt for a speed limitation. Furthermore, not being able to use the throttle from standstill means that you have to pedal to get going, and that’s exactly the moment when I most wish I had support. 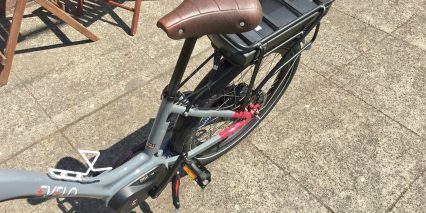 To be fair, pedal assist is very responsive, so it’s not a deal-killer to have to pedal a bit. 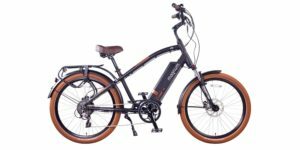 For those who prefer a twist throttle to the trigger design here, and need the smaller 24″ frame, consider the similarly priced Pedego 24″ Step-Thru Interceptor which does have throttle from standstill. 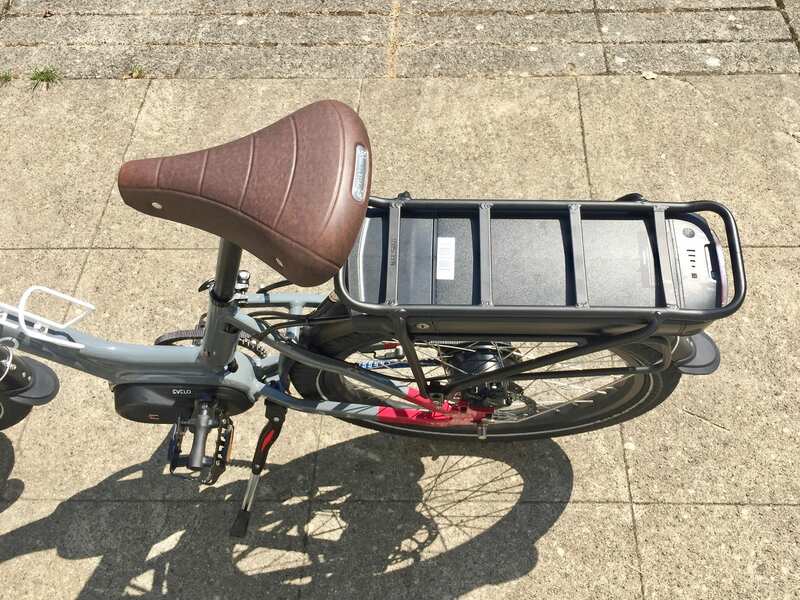 Powering the motor, backlit display panel, and front and rear lights is a rack mounted Lithium-ion battery. 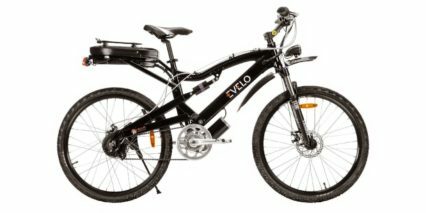 It offers slightly higher than average capacity at 36 volts 13 amp hours, and can be charged on or off the frame with the basic 2 Amp charger. When you mount the battery to the rack, you have to use the key to lock it in place. 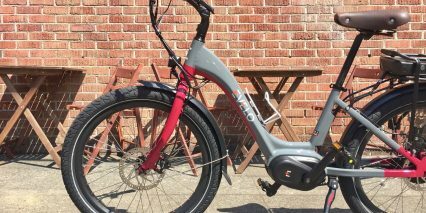 I noticed that during some of my ride tests, on very bumpy streets, the battery and plastic fenders made some rattling noise. 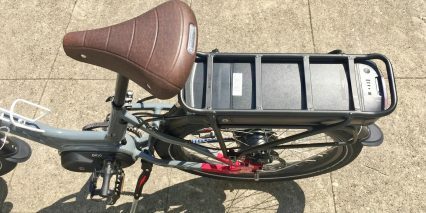 Not a whole lot, but more than some Aluminum fenders and mid-mounted or downtube-integrated battery packs I have seen on other products. 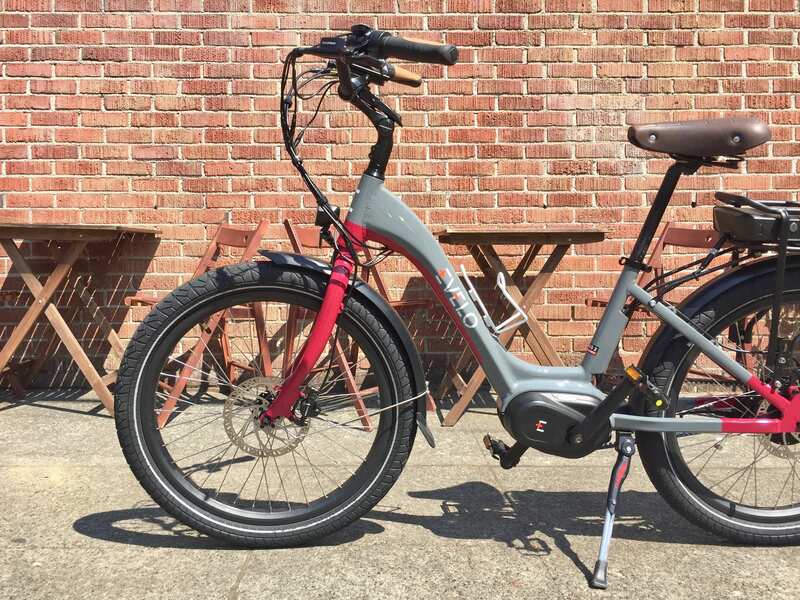 The battery position is not ideal for handling, and I did notice some speed wobble when riding with no hands during part of the test with the full sized model. I feel like the smaller 24″ frame is stiffer and speed wobble is less of an issue. Speed wobble happens in some cases based on weight distribution, frame stiffness, and headtube angle. 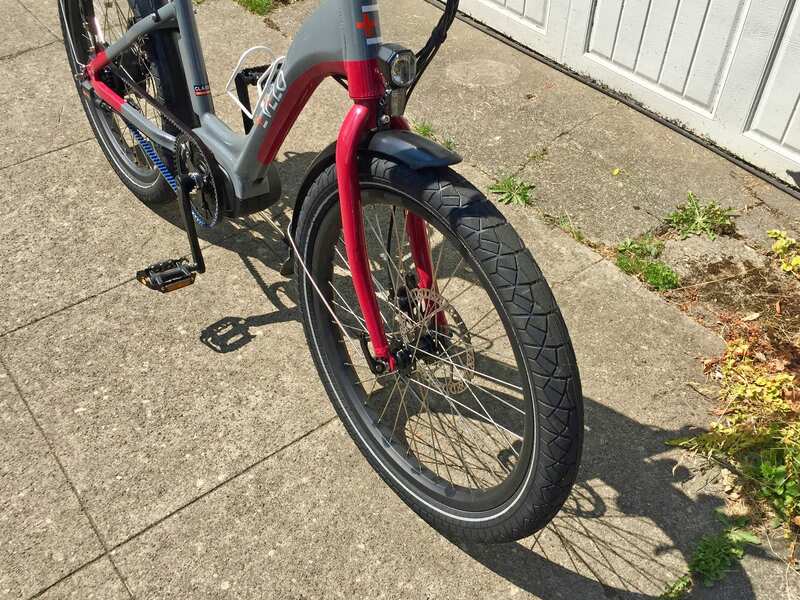 Basically, the front wheel can start to shake a bit from side to side and become unstable, but this doesn’t seem to be an issue at slower speeds and if you hold the handlebars. 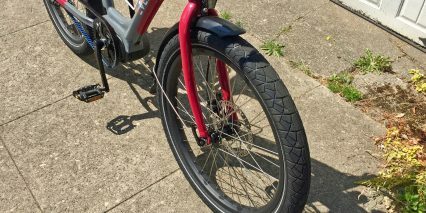 Smaller wheels tend to be stronger than big ones, but sometimes aren’t as comfortable because they contain lower air volume and don’t span cracks as easily… they sort of fall into holes and cracks, if that makes sense, but the width here is 2.4″ which improves stability and does introduce some extra air volume to get a bit more comfort back. Anyway, the best part of the battery for me, is that it is covered by that great warranty and is positioned out of the way so mounting and standing over the frame is a cinch. 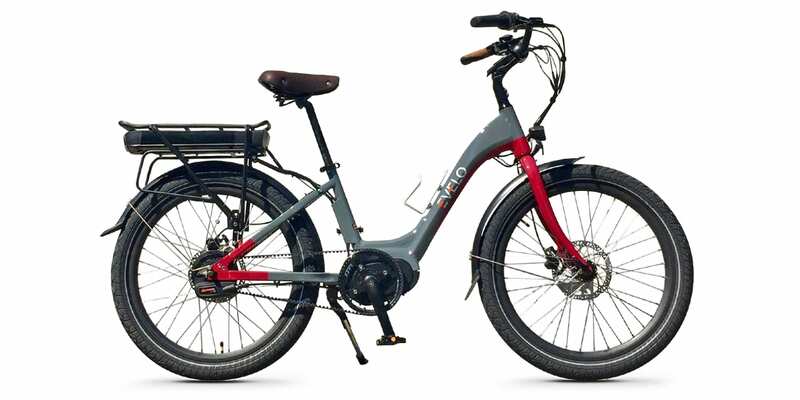 This e-bike is very approachable and the adjustable angle stem and swept back handlebars allow you to dial it in perfectly for your body size and preferred body position (I prefer upright). 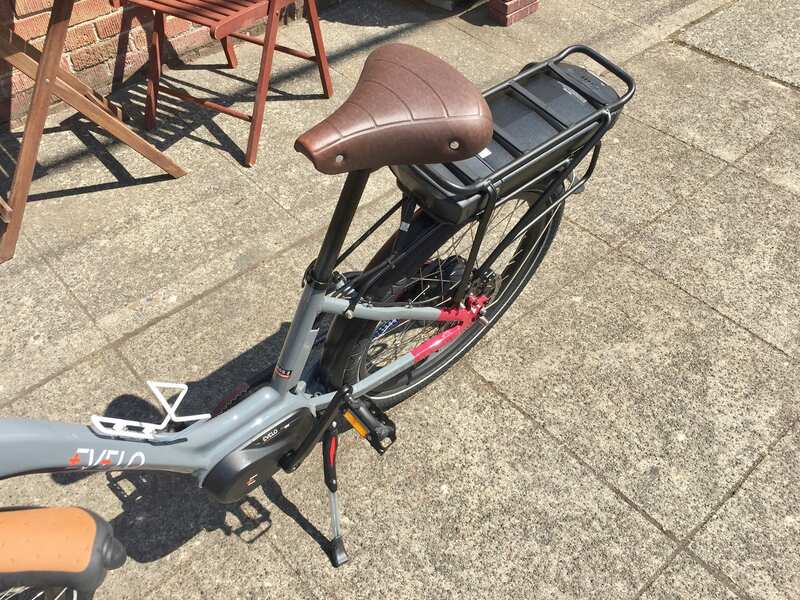 The saddle height is very easy to adjust up and down with its quick release seat post binder, and I love the faux leather sprung saddle and ergonomic grips. 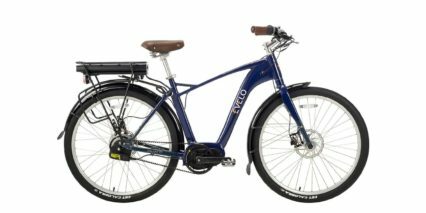 Powering on and controlling the electric drive systems is pretty easy with this bike and the display unit is large and crisp, making it easy to read. 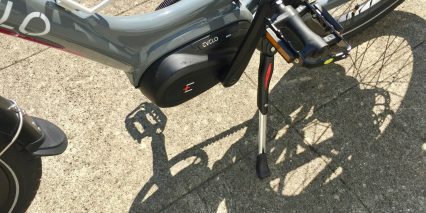 Once the battery pack is charged and mounted, simply press the M button at the base of the control pad and the LCD will blink to life, showing your current speed, assist level, odometer and other stats. The control ring also has an up and down arrow, which let you navigate from 0 to 5 for different levels of assist. As mentioned earlier, the throttle does not work at level zero, and you need to be going at least six miles per hour for it to function. A few quick tips for using this control system: hold up and M to switch from average speed to max speed readouts, hold up on its own to activate the display backlight, hold the down arrow to initiate walk mode. Walk mode one can be useful if the bike is loaded with groceries or you’re in grass but preferring to walk vs. ride. Note that the display panel can be swiveled forward and back to reduce glare, but is not removable. So there could be some weather exposure and scratches from parking outside and at bike racks over time. 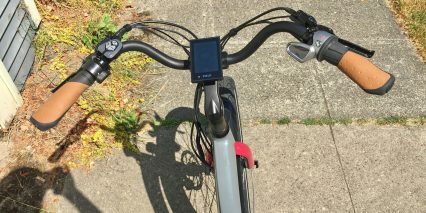 Also note, the throttle and control ring are both mounted to the left part of the handle bar, and reaching the buttons requires that you reach over the throttle mount which can be a stretch for smaller hands. Some people prefer having the throttle on the right side, but that isn’t possible due to the grip shifter for the NuVinci N380. 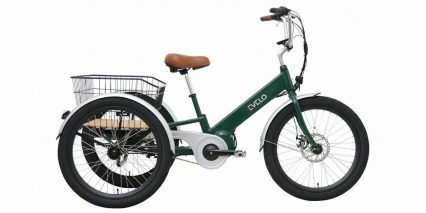 All in all, the cockpit works well enough and the swept-back handlebar is comfortable and relaxed. 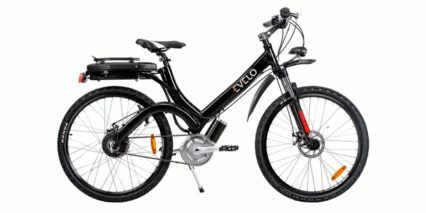 Even though I’ve expressed some complaints here, the Evelo Galaxy 24 is one of the more approachable, powerful, and dynamic cruiser style electric bikes I have seen that comes in a smaller size for petite riders. I love that there are two color schemes that appear fairly gender neutral. 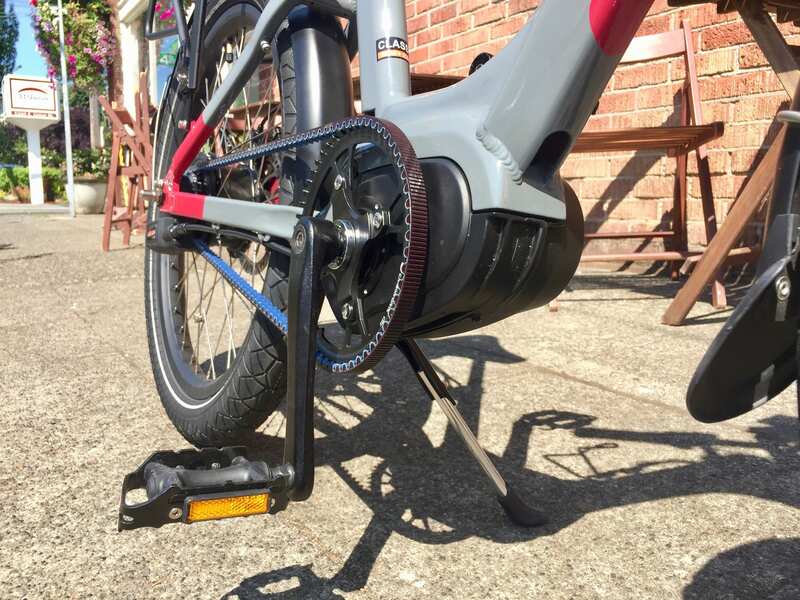 The belt drive is clean, quiet, and more reliable than a chain. 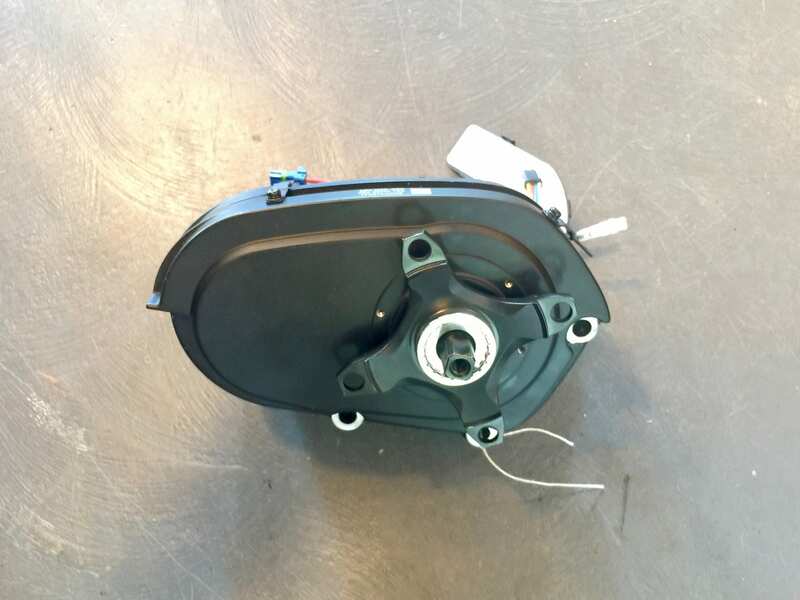 The continuously variable transmission is not as vulnerable to the forces of a mid-drive motor as an internally geared hub or traditional cassette+derailleur would be, especially because the Bafang Max Drive motor does not have shift detection. 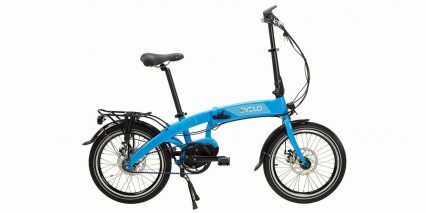 The NuVinci N380 definitely adds to the price and weight, but tends to be very reliable. 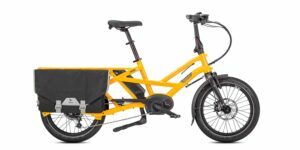 The addition of bottle cage bosses, thicker spokes, and a max weight rating of 300+ lbs makes this a great platform for many uses and types of people. 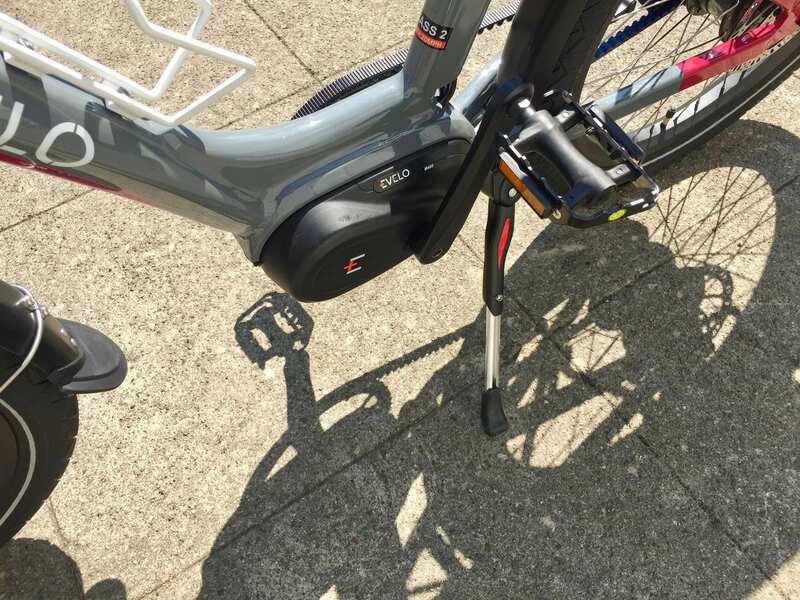 Big thanks to EVELO for inviting me out to test ride several models back to back, it was neat to explore Seattle and meet directly with a product engineer to get feedback! There were people swimming, the day was beautiful, and we really got to stress test the bikes on some steep hills. 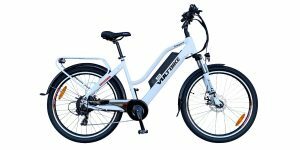 It was incredible just how strong the bikes were when climbing, and I was relatively comfortable on the sprung saddle despite there being no suspension fork or seat post suspension. 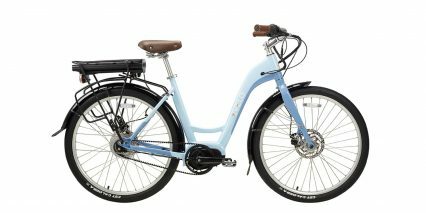 The tires, swept back bar, padded grips, and saddle provide good enough comfort. As always, I welcome comments below and invite you to share pictures, stories, and connect with other owners in the EVELO Forums. 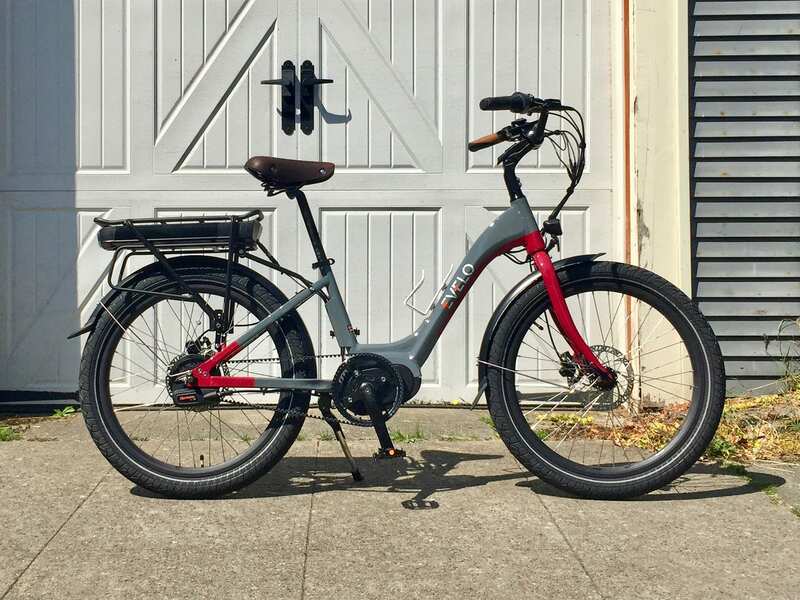 Safety is very important to me and it becomes especially important when riding on a smaller ebike, lower to the ground, so the reflective tires and integrated lights are a big win here… especially the rear light, which goes bright when you pull the brake levers! 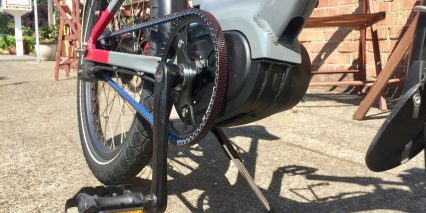 EVELO went the extra mile to stock a larger 55 tooth chainring vs. a 50 tooth on the larger Galaxy models, and this balances out the pedal cadence given the smaller 24″ wheel size, great job!